A money belt would be a good idea for stowing your cash, travellers cheques, credit cards, passport etc. If you are a single female traveller it could be a good idea to sit close to the front in view of the driver’s rearview mirror to help ensure you are not harrassed. Compression socks, sometimes know as “flight socks,” are easily available in pharmacies and help to avoid deep vein thrombosis. Their effect will be enhanced if combined with a few lively exercises, for example, toe wiggling and circling ankles, as well as disembarking at every comfort break and spending some time walking briskly rather than smoking and drinking extra cups of coffee! Water is essential, of course, and it’s easier to manage in a restricted space if you carry several smaller bottles rather than one large one. Remember your wet-wipes, so that you will be refreshed externally as well as internally. Flight pillows can also be purchased in pharmacies and the kind that inflate won’t take up too much space in your luggage. These work quite well even when you are sitting upright. Or, if you are lucky enough, as a single traveller, to get a double seat to yourself, you can use the pillow lying down with your body curled into a foetal position on the seat. There are cunning ways for single travellers to get a double seat to themselves. This obviously depends on how full the coach or bus is, as single travellers generally gravitate to any free window seats. Once all these are taken, subsequent passengers will go for the least problematic spaces. 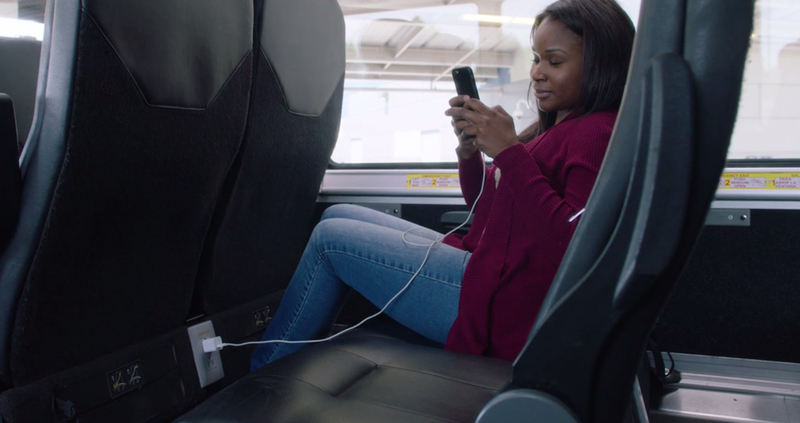 These could be the spaces nearest the point of passenger access – often the middle of the coach – and so it may help to sit at the front or the back. People who stretch out across the seat with closed eyes and a blanket over them are less likely to be asked to share than those sitting straight up and looking perky! It may not be fair, but that’s how it is. Another good idea is to take a mask with you – absolutely essential if a passenger near to you has their reading light on when you want to sleep. Take a book or, preferably, a Kindle or Kobo as these take up less space and carry plenty of books. But I prefer not to begin reading until I’m bored of the view from the window. I like to see something of the countries I’m travelling through to my destination and you don’t get that advantage when you’re flying. Also, reading later can help to induce sleep. Listening to music on your ipod is another good way to pass the time, or surfing on your computer if you decide to carry it with you. For other pleasant time-passing exercises you could try a crossword puzzle book or simply close your eyes and meditate by concentrating on your breathing and gradually phasing out the intrusion of noises around you – just listen to the beautiful silence behind the din. It’s always there. But to do this completely successfully will be easier if you have practised first in a guided meditation environment.